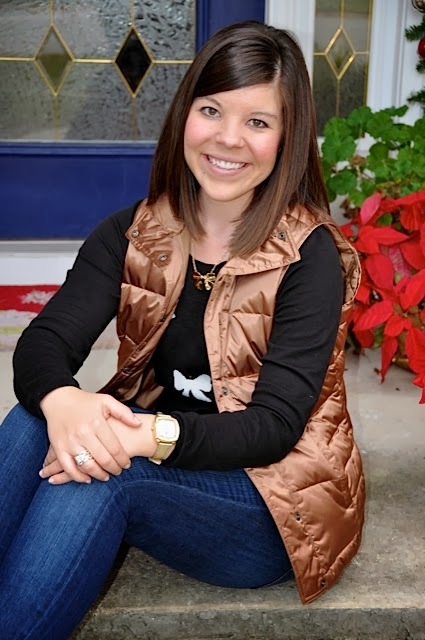 When deciding what to wear for Christmas day, one word kept reverberating in my brain… “cozy”. The temperatures finally dropped in Florida (to a chilly 70 degrees!) and visions of bundling up were dancing in my head. My family tradition is to wake up at 6:30 am and open presents in our PJs, then we have breakfast, open stockings, get ready and head to my extended family’s house about an hour away- so Christmas is a busy holiday for us! 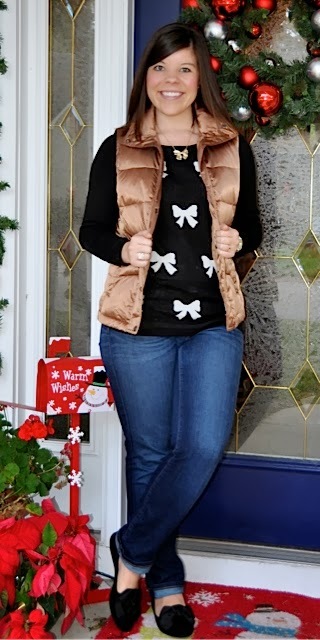 I wanted to be cozy and comfortable for this busy day, and a bow sweater was the perfect way to feel festive! 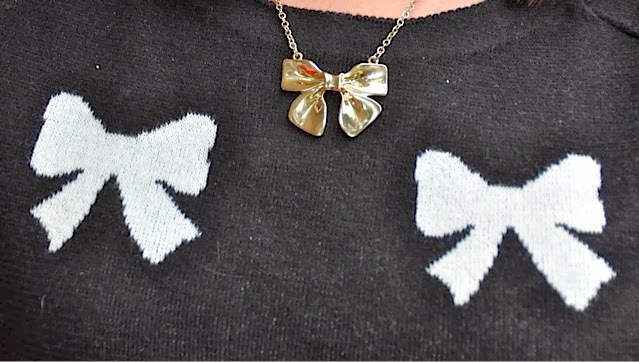 I am obsessed with these bow smoking loafers I found a Kohls (a STEAL at $35) and with my trademark gold bow necklace I felt wrapped up like a present! 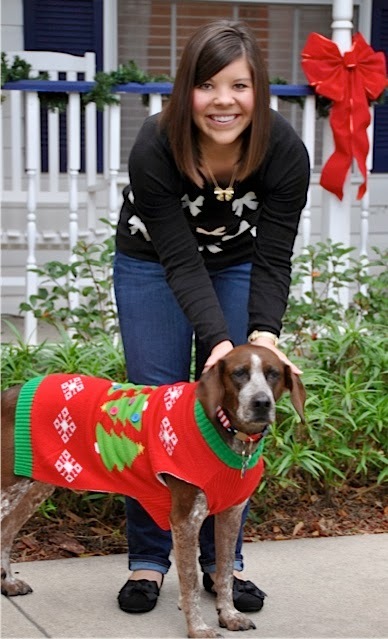 Buddy even got in on the fun with a festive Christmas sweater- he loved it! Previous Post Wishes for a Merry Christmas! Thank you! Buddy says "woof woof" !